Neon has picked up rights to “The Lodge,” a creepy cabin tale about a damaged woman and the children she is caring for that thrilled audiences at this year’s Sundance Film Fesival. The film follows twos siblings who are snowed in with Grace, the younger woman that their separated father plans to marry. Just as the kids begin to warm to their stepmother-to-be, events intercede and threaten to dig up psychological demons from Grace’s childhood as a member of a religious cult. An unblinking study of human frailty, The Lodge offers a haunting exploration of the traumatic aftershocks of religious devotion while positing that some evils just don’t die. Veronika Franz and Severin Fiala build an overwhelming disquiet from this visceral and stylish film’s very first scene, before nestling their claustrophobic thriller within a disorientingly endless snow-filled landscape. Riley Keough exudes fragility as well-meaning Grace’s every good intention leads her deeper back toward the hell of her own past, while Jaeden Martell and Lia McHugh do impressive work as the kids’ practiced defiance turns to fear. “The Lodge” is a FilmNation and Hammer Films production. FilmNation fully financed the thriller. It stars Riley Keough as Grace, along with Jaeden Martell and Lia McHugh as the kids. Alicia Silverstone, Richard Armitage, and Daniel Keough round out the cast. Endeavor Content negotiated the deal on behalf of FilmNation. It has been a busy festival for both companies. Want to read more articles like this one? The post ‘The Lodge’ Sells to Neon – Variety appeared first on Epeak World News. Why is it always repeated by the MSM that White Christians or White Nationalists or White Men or White Americans are the biggest terrorist threat, but when they talk about Muslims they never say Brown Muslims or Muslims of Color? 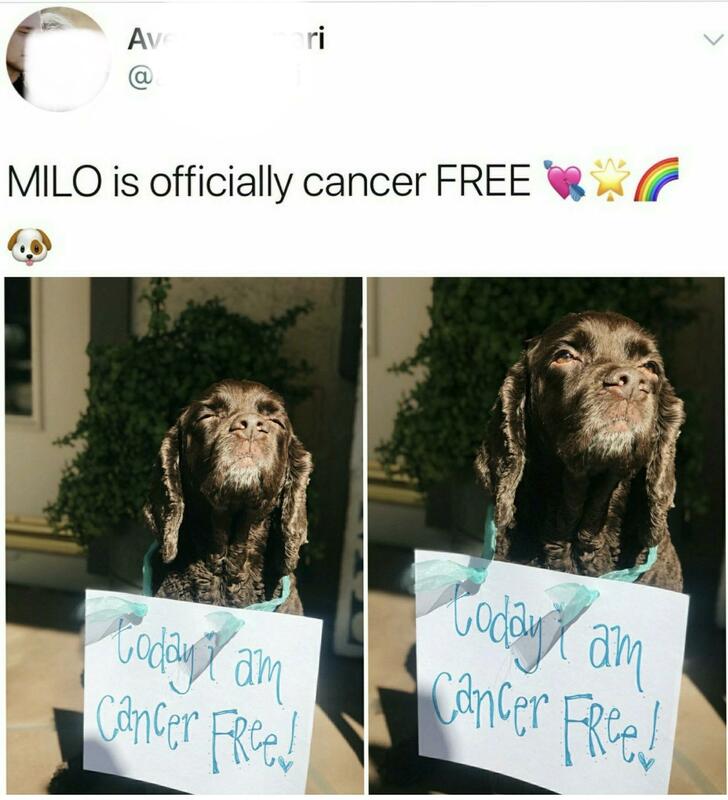 Milo is finally cancer free!